You may have noticed that I haven’t posted much content these past few months. It’s been a whirlwind past three months but I promise that I’m back and will be posting more frequently and regularly. The purpose of this post is to give you a quick update of what I’ve been up to and what you can expect from this site in the very near future. I’m really pleased to announce that in early January of this year, the Art of Tall entered its third year of existence! For those of you that have been following this blog since the beginning I want to say a huge heartfelt thank you for your support. If you are new to this blog and not sure where to begin or what the point of this site is then I would suggest you start here. The reason for my lack of posting is that I’ve been busy with numerous adventures and trying new experiences. For most of February I traveled around Eastern Europe. During this time I successfully managed to not hurt myself whilst skiing in Austria and found out that castles were not built for tall people. I also learnt that Qatar airlines has a “secret” seat with an insane amount of legroom. After returning from Europe, getting back into the “real world” of a day job and suffering through some post-holiday-blues I decided to try the ultimate relaxer: getting into a sensory deprivation tank (i.e. float tank). The experience was incredibly unique and I left feeling more relaxed than I can remember feeling in a long time. Shortly after my first of many float tank experiences I thought what better way to balance out my state of complete zen then by trialing (and ultimately signing up for) Brazilian Jiu-Jitsu. After my first class of tapping out every few seconds I realised that I know absolutely nothing about self defense when on the ground – I was hooked. My adventures in Eastern Europe and tips for tall travelers. My experience as a 6 foot 6 tall person in a float (sensory deprivation) tank. 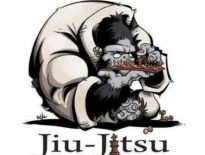 My experiences starting Brazilian Jiu-Jitsu and tips for tall people. 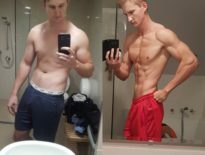 An update on my calisthenics training. The other big change that I’m going to make to this website is that, whilst I’ll still be posting blog posts, I’ll be switching the overall focus to review and present a wide range of products and clothing that tailor to the tall. There is an ever increasing market out there tall people products and I want to try and cover as much of it as I can to help make your life easier. I will also be continuing my popular series “interviews will amazing tall people”. Stay tuned for some exciting new content, blog posts and layout changes as I update this site. Stand tall, be proud of your height and always be hungry for more.